When packing for a trip in your RV it can be tempting to take the entire contents of your kitchen cupboards at home. But do you really need that bread maker you last used in 2014? By taking stock of what you’ll need in your RV kitchen before you leave, you can be sure to have everything you need, without being weighed down by items that you won’t use. In this article, we’ll take a look at some essential equipment for your RV kitchen, as well as some items we think you definitely won’t need. Be sure to check our list of best kitchen appliances for your RV. Whilst you definitely want to avoid overpacking, you also need to make sure you’ve got everything you need to cook up a storm while you’re on holiday. Bear in mind that your essentials could look quite different to anyone else’s. If you make smoothies every morning at home, then you’ll definitely want to bring along a blender. Another RVer might prioritize their crockpot if they enjoy doing meal prep before heading out for the day. It can help to make a list of everything you’ve used in your home kitchen in the space of a week – this will give you a great idea of your most frequently used items. This will help you decide what to bring and what to leave behind. Read on, for our recommended list of essentials which we think no RVer should be without. As far as we’re concerned, a set of thermometers for your oven and refrigerator are vital for your RV. Many RV ovens are powered by propane gas, which can lead to uneven temperature distribution. Most temperature gauges on propane ovens are also inaccurate, meaning you’re looking at potential baking disasters. By using a relatively cheap oven thermometer, you can make sure your oven is heating up to the correct temperature. This, combined with rotating your pan during cooking, will help your dishes cook evenly. RV refrigerators are generally designed to run off both AC power and propane gas. These are known as 2-way refrigerators. Also available are 3-way refrigerators, which run off AC power, gas and DC power. Most of these have a switch allowing you to select which power source to use. Alternatively, you can leave the switch in the auto position to automatically change between the two options. The advantage of this is that when you’re boondocking, you can switch to powering your refrigerator using gas, which will considerably reduce your power consumption. A disadvantage is that in hot weather or at high altitude, gas-powered refrigerators can struggle to maintain the correct temperature. If you don’t keep an eye on this, you can end up with spoiled food. 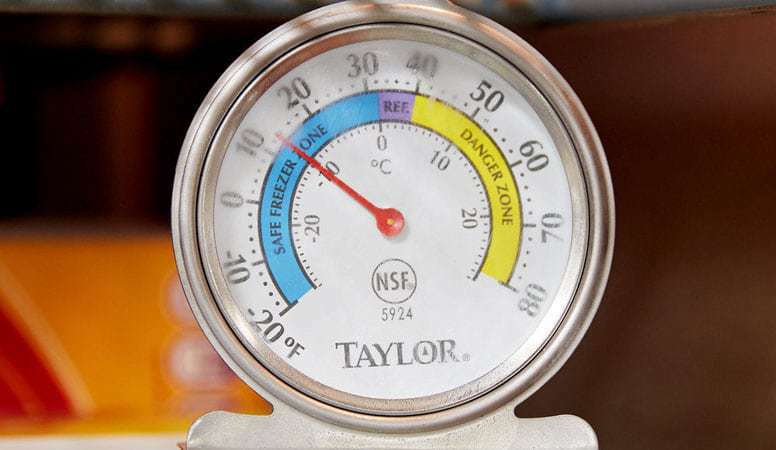 By using a refrigerator thermometer you can monitor the temperature of both your refrigerator and freezer. Buy a twin-pack of thermometers, so you can leave one in each compartment. Aim to keep your refrigerator temperature between 34 to 36 degrees, and your freezer at between 0 to 10 degrees. Investing in a good quality cast iron skillet set for your RV is a great idea. These can be used on your stovetop, in your oven or grill, and on an open fire. 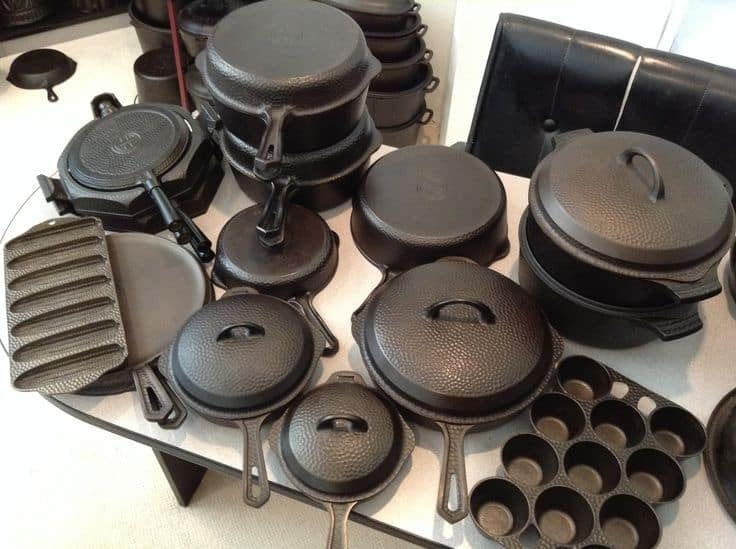 The great thing about cast iron cookware is that the more you use them, the better they become. You can also carry them outside of your RV and cook on open fire. So you can look forward to years of use from your skillets. Include a griddle which doubles up as a lid, as well as coming complete with silicone handle covers, pot holders, and scrapers. Just because you’re cooking in a small kitchen, doesn’t mean you can’t knock up a gourmet meal. It does mean that you need to get creative with your storage ideas in order to fit in herbs and spices which you know you’ll use most often. A compact spice rack is a great idea, with a range of designs available. Stack jars in a neat metal rack which makes the most of small spaces. You could create a DIY spice rack using magnetic jars. These hexagonal jars interlock together, creating a beautiful design whilst also freeing up cupboard space. They stick to any steel surface, using magnets within the lids. With any spice rack, it’s a great idea to buy empty jars and then fill them up using your herbs and spices from home. 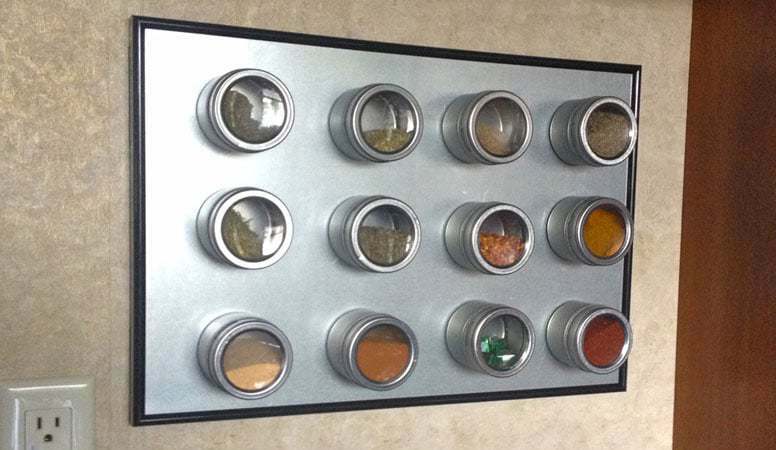 That way, you’ll end up with an RV spice rack full of flavors that you know you’ll actually use. 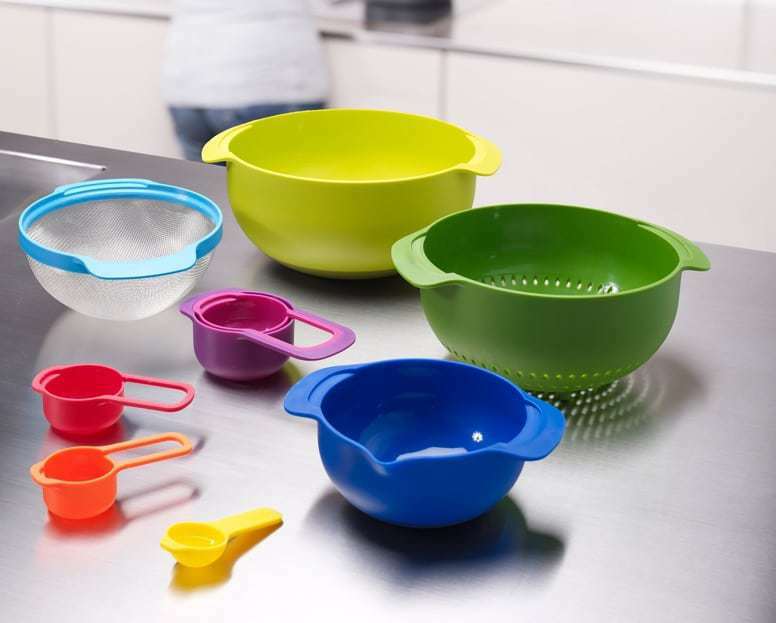 Finding space in your RV kitchen for every mixing bowl and colander that you use at home will be almost impossible. Instead, consider investing in a set of nesting bowls. They come with sieves, colanders, measuring cups and mixing bowls, all packed into the space that one large bowl would normally take up. 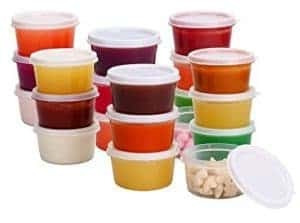 Another possibility is using a set of collapsible bowls, which are made of a soft silicone and designed to concertina down flat when they’re not in use. Either of these options will help you maximize the available space in your RV. You might be used to using the integrated timer on your oven at home, safe in the knowledge that it will alert you when dinner is ready. Unfortunately, many RV ovens don’t come equipped with timers. This means that if you’ve put dinner in the oven and headed outside to take care of some RV chores, you can easily lose track of time. By the time you remember your dinner, it’s burnt to a crisp. 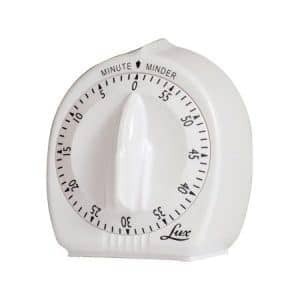 Invest in a cheap kitchen timer and it won’t take long for you to get into the habit of setting it every time you cook. When many of us wake up in the morning, our thoughts turn to coffee. You’ll no doubt still want to enjoy your morning cup of joe, but you might consider making it in a different way when you’re on the road. A capsule coffee maker is a great, compact choice. Compact models are single-serve coffee makers, reducing the chances of having a half-used pot of coffee on your counter when you’re ready to set off in your RV. They use pods to minimize wastage, combined with the ability to change the coffee strength. They also dispense hot water, for those who also enjoy tea or hot chocolate. You might prefer a French Press, which has the advantage of saving on both counter space and electricity. Bodum presses always win our vote and are perfect for keeping your coffee hot on lazy mornings. That’s our roundup of essential items you should definitely consider packing in one form or another. Now, let’s take a look at some things we think you could easily leave behind. You’ll probably find that you can easily get by with far fewer items in your RV kitchen than you would have at home, so don’t be tempted to overpack. Having too much in your RV kitchen can be equally as frustrating as not having enough. Searching through drawers crammed full of things you don’t need, creating extra washing up by using five utensils instead of two, it can all add up to make your trip less enjoyable. Consider leaving certain things at home to cut down on washing up and packing – which leaves you more time for having fun. To get you started, here’s our list of items we suggest leaving at home. It can be tempting to bring along your entire set of flatware when heading off in your RV but trust us, you won’t need it. Less flatware means more drawer space as well as saving on weight. Consider taking only enough for each passenger, and perhaps one spare set. If you decide to invite your new friends in the neighboring RV over for dinner – ask them to bring their own cutlery too! You could consider packing some lightweight bamboo flatware, which as well as taking up hardly any space, is lightweight, reusable and environmentally friendly too! Don’t grab whatever tins you have in your pantry at home and transfer them to your RV. You might find that you end up with loads of heavy cans of soup when you’re on holiday in summer and that’s the last thing you feel like eating. Instead, create a meal planner for your trip, and stock items only for the first week. Wherever you plan on traveling, you’re bound to find a store nearby that you can use to stock up on fresh supplies. Using a magnetic dry erase weekly meal planner is our favorite way to stay organized. Before bringing along your food processor, blender and smoothie maker, think about whether or not you’ll really use them. You might love baking a cake at home, but could be less likely to use your food processor to whip up a cake dough whilst relaxing in your RV. Often, a stick blender with multiple attachments can serve as a multi-purpose appliance that’s as well suited to making smoothies as it is to chopping nuts and herbs for a salad. If in doubt, we suggest leaving those kitchen appliances at home during your first trip. If you find yourself missing them desperately, you can always bring them along next time. You might have enough space in your home kitchen that it doesn’t matter if you’ve got three colanders and ten wooden spoons, but in your RV, cupboard space is at a premium. Make sure you only bring what you need, and remember that a sieve can double up as a colander, and you only really need one of each type of chopping knife. This suggestion might seem a bit out of left field, but bear with us and you’ll see why we think it’s an important consideration! In your RV kitchen, every centimeter of space counts. It’s unlikely that you’ll have the luxury of too much space. That means you need to pack intelligently. 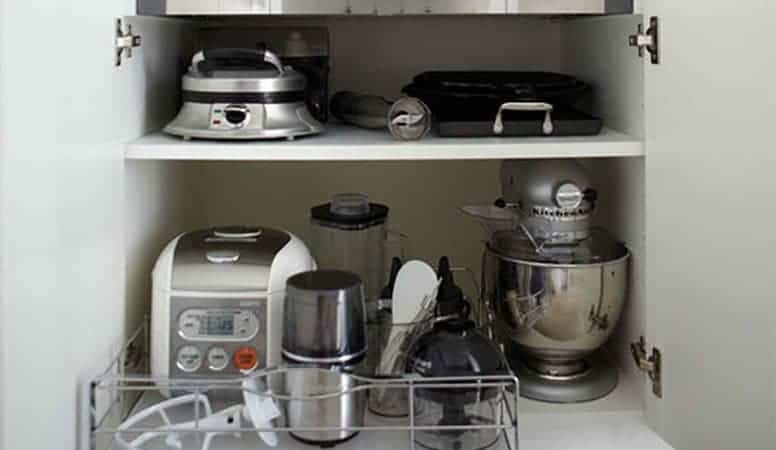 One of our favorite ways to maximize the available space in your kitchen cupboards is to avoid round storage containers. Round containers leave space gaps when stacked, which means you’re not utilizing all the available space. We suggest instead, using square or rectangular airtight containers to store food items in your RV. Sets which stack together and come in a variety of sizes. This is a slightly boring but very necessary section! Here are some important considerations when packing your RV kitchen, to make sure your trip is not only enjoyable but safe as well. 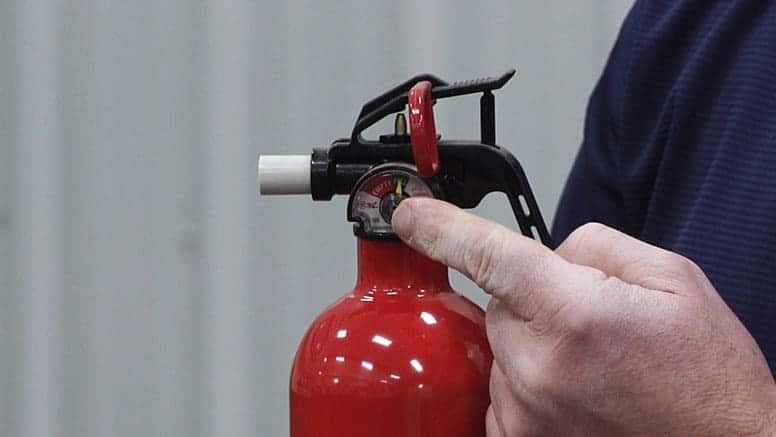 Make sure you bring along an extra fire extinguisher and locate this within your kitchen area. Familiarize yourself with how to use it and whether or not it needs testing periodically. Also, make sure you pack sensibly – consider how the movement of your RV will affect bottles and jars. Place heavy items in well-secured bottom cupboards. A well-thought-out RV kitchen can be a joy to cook in. It provides everything you need within easy reach, plus all the herbs and spices you love using to create flavorsome and memorable meals, with just the right amount of equipment. Taking the time to carefully plan the kitchen essentials for your RV allows you to eat well, but with the minimum of fuss, and most importantly, allows you to enjoy your vacation to the full. If you’ve got any essential items we haven’t covered, or any tips on what else to leave behind, we’d love to hear from you in the comments below.